I started writing when I was really young in order to keep myself entertained. I never really saw it as something I enjoyed doing until recently. It was difficult explaining my convoluted ideas to others and writing made it easier to understand myself. It also provided a place for me to get out anything that I couldn’t talk about with others, either because it was personal, or too complicated, seemed nonsensical or simply because my interests didn’t align with others around me. I think of writing as a way to capture who I was at a point in time. Just how a picture can capture an image or moment, writing is almost like capturing an essence. I can relive a moment in time when I felt or thought a certain way. Writing about things that I feel passionate about is really interesting, I think it’s really easy to forget that writing can be used for so much more than academia. I’ve written about my favorite singers and bands, fashion, food, restaurants, brands, music, books, and even words. Recently, in an effort to start journaling again I made an Instagram account where I post my favorite pictures and caption them with small thoughts, essays, or song lyrics. It’s easier to make a quick post on the bus or train than to sit down and physically write out in a journal, of course, it’s different, but at the core, it’s the same. I like to think of it as Thought Curation, where I pick out what I like most, polish it and share it. It’s cathartic being able to express emotions freely, and writing is something very simple that almost everyone can do. I really encourage it, it’s a space to grow and practice. This entry was posted in #WhyIWrite on October 23, 2017 by Ita Flores. 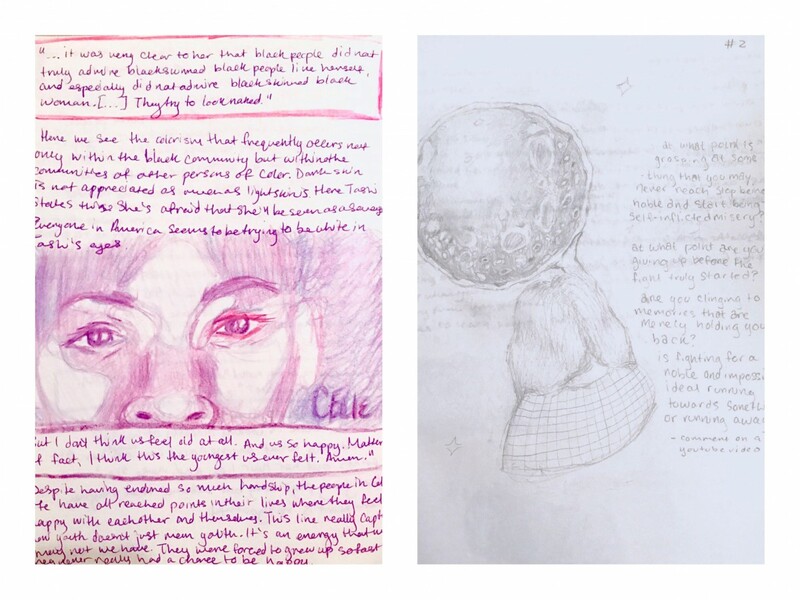 I love the way you described your writing process, as “thought curation.” Thank you for sharing this with us, especially the entries from your journal (what a privilege to be able to see your handwriting and drawings! ).